Just like on the big screen, television has provided us with the most memorable moments as well as with the best blunders and slip ups. 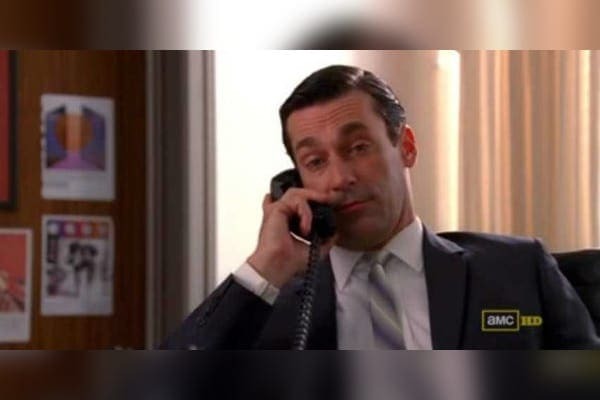 From continuity mistakes to plot holes, these are the best and somewhat awkward TV mishaps as they were caught on camera. It’s safe to say that Mad Mn has changed the way people perceive advertising and marketing forever, because besides the factual history of the advertising world that is a main part of the plot, people get a sneak peek at the late 50’s and 60’s and see what the culture, the fashion and the dialogue was like. There’s no doubt that communication is a big part of the show, especially verbal communication. However, the phone that is seen in this picture with registered jack doesn’t really make sense because these kinds of phone with connected wires were only invented in the seventies. Now tattoos are always a tricky thing because if the writer feels like he wants a certain tattoo to be part of the costume and asks the make up artist to do it, then as far as we know, tattoos are permanent, so they at least should be portrayed that way. In this steamy scene, you can notice Alex’s tattoo change positions from one shot to another. 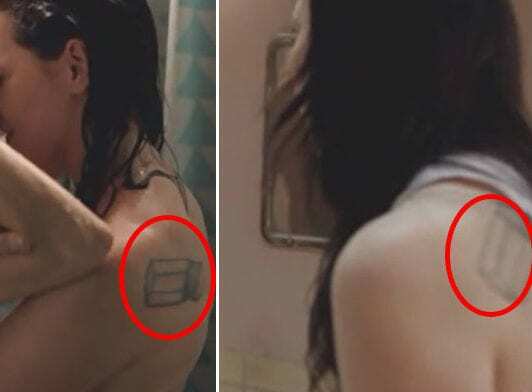 While it might fit the character’s troubled and dynamic character, it doesn’t really make sense that a tattoo would change its angle, size and even sides from one frame to the other. Switching from one apartment to the other can be quite exhausting and confusing, apparently. We’ve seen amazing guest stars, endless of actors and our favorite group of Friends walk through Monica’s apartment door. However, did they walk through apartment number 5 or number 20? Well, at first it was 5, until the writers realized that at such an upper lever floor, it doesn’t make sense that it would be five, so they changed it to 20. That must have been a nightmare for the New York postal office. The ABC series which followed the lives of passenger jet crash survivors on a tropical island did include many flashbacks and flash-forwards throughout an episode, so we get how it could get confusing. In addition, fans would re-watch many times many episodes just to see if they can pick up on clues or twists of their favorite show. 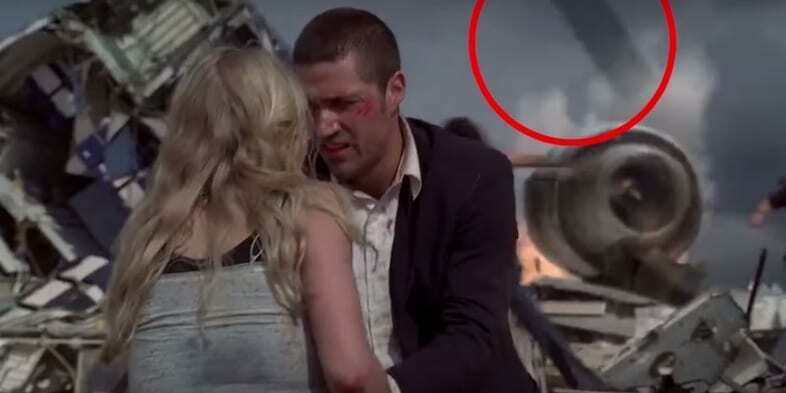 One episode literally caused an explosion in discussion when the survivors of Flight 815 were taking cover from the burning plane engine. What people noticed was the black object in the back that was very ambiguous and out of place. It turned out it was just a computer-generated image effect error. Breaking Bad was only running for five seasons, but during the time it was on air it has received numerous awards and critical acclaim. It was really a good combination of the acting, the surprising plot and the drama effect. However, when you are putting up a show with so much science involved and chemistry, you should really get your facts right. 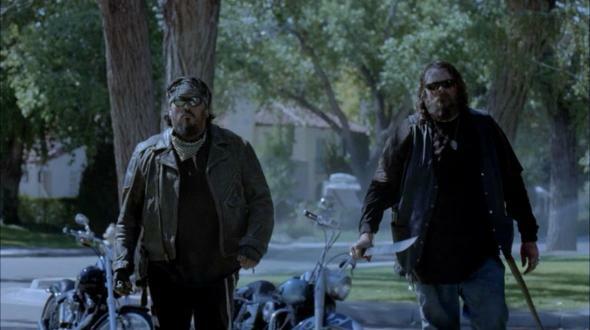 In season one you can see Jess smoking meth ad as a result has an extensive hallucination to the point that he sees two big Mormon missionaries appearing as edgy bikers holding a sword. The only thing is that meth does not make you hallucinate. It’s not a real episode of Games of Thrones without someone brutally dying at the end, and that’s why it was kind of surprising to see the one episode didn’t end up with a brutal bloodshed. 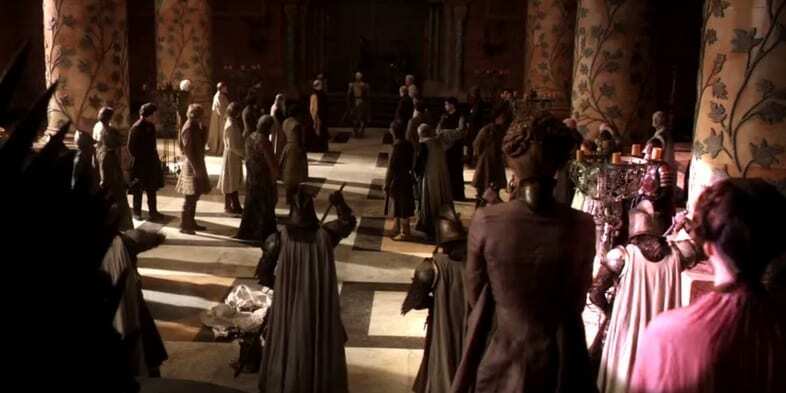 In an episode when Sir Barristan Selmy is forced to step down from his current position by King Joffrey, one of the extras in the scene who was playing a guard is seen struggling to place his sword back. We have a feeling that this kind of behavior would not pass in the Kingsguard. Sheldon’s spot it one of the most discussed topics on the show. Everyone knows that he is very very particular about the seating arrangement, and no one is allowed to sit in his spot, it’s a scientific thing, you know. 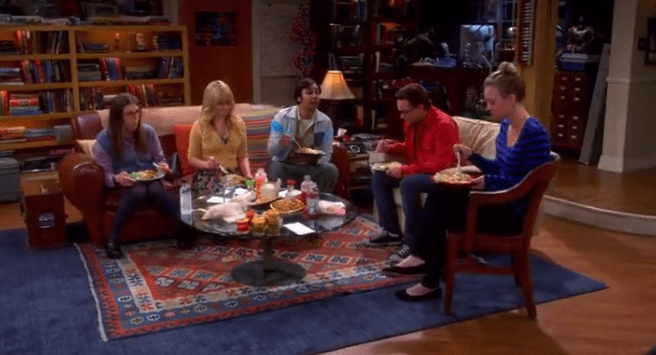 In the beginning of season two, Raj is seen sitting in Dr. Sheldon Cooper’s spot on the couch, and he somehow amazingly manages to survive the incident without Sheldon getting furious. The show is set to take place in a star system that is far far away, but even in the furthest planets there might be a few bloopers here and there. The sci-fi series really stepped up its game in the second season with everything that has to do with the drama and tension. It was almost like death was all over the place an betrayals were just part of the plot. Apparently, mistakes were also a big part as you can see in this scene where the Chief and Helo are finally blowing off some steam by fighting one another, they have an audience. The cameraman is very noticeable in the frame. Its hard not to love each and every character on the sitcom that has been successfully running since 2009. It’s almost hard to choose who your favorite character is because they are all just charming in their own way. 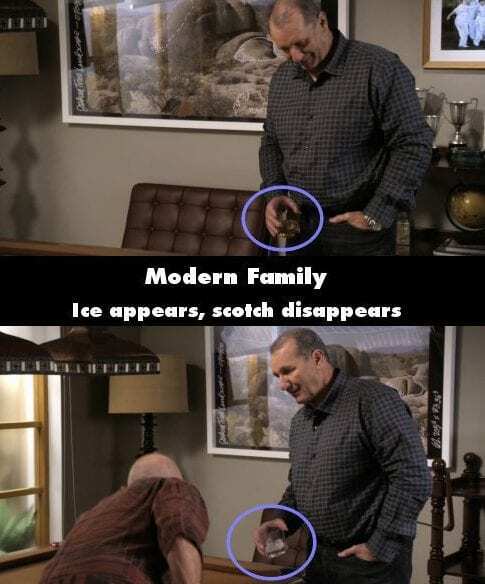 In season 2 of the series in an episode called The Musical Man, Jay is seen talking to his brother and holding a glass filled with scotch and little bit of ice inside. However, in the next frame, when his brother, who had just informed him about his cancer, approaches him, the glass is empty from scotch. In a subsequent shot, Jay spills the contents of his glass, which doesn’t make sense if it was empty just minutes ago. Some mistakes can only be spotted if you pay extra and careful attention, and by attention we mean sitting so close to the screen you can literally notice every single thing. The renowned show is doing so well that the writer should consider hiring a person to spell check their stuff, just to make it even more perfect. 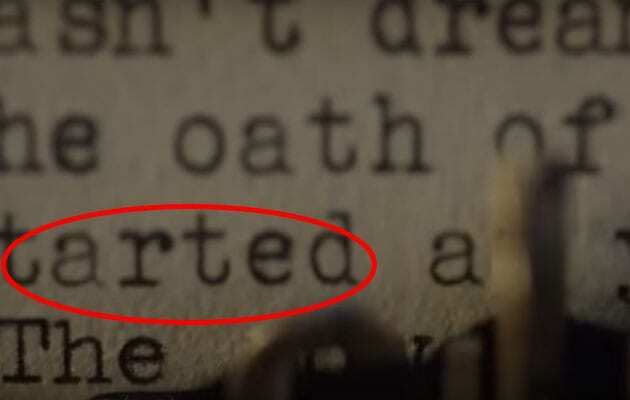 In season two, vice president Frank Underwood is seen typing a letter to the President, and he narrates his later saying ‘staring at the desk’. However, when the camera zooms in, you can see that it reads ‘stared’ in stead of ‘staring’, and it doesn’t match the narration. The Breaking Bad prequel, yes not a sequel, a prequel, the writers and the producers were trying their hardest to keep anything technological-related away from the frame. The show, which is the origin story of the hot show, Breaking Bad, is set in 2002. In one scene, a very famous company logo is seen in the background. 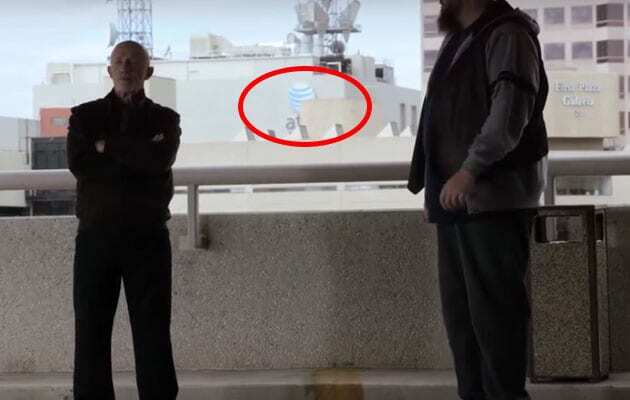 The logo is of a ‘tiny’ company named AT&T (which is the biggest telecommunication conglomerate in the world). The second problem is that their logo wasn’t introduced until 2005. We are aware that some shows require huge productions and lots of logistics. There are countless people who are behind the camera to make everything seem synced and seem like it’s all working. However, we are not supposed to, under any circumstance, notice these people. In the political drama show, there was a scene where a Saudi diplomat was interrogated inside a building that has huge windows and it’s clear that it’s sunny outside. It’s hard not to notice the crew members reflected in the actor’s glasses. Now this mistake is fairly easy to avoid, because all the writers would need is a translator. In the long-running show, it makes sense that there would be a slip up here and there. When Dean and Sam are seen chasing a demon, Sam says ‘If she’s possessed, she’ll flinch at the name of God. In Latin it’s Christo’. Well, the fact of the matter is that ‘Christo’ refers to Chris and not to God. Moreover, it’s in Greek and not Latin like he says. Fans were heartbroken when the crime drama, Sons of Anarchy, went off the air in 2014. While the series’ might have ended, the countless mistakes that were apparent on the show may live on for many years to come. 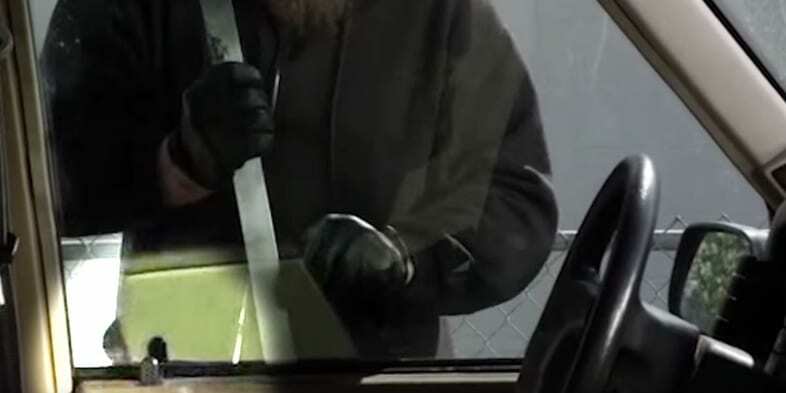 In a scene where Opie is trying to break into a car, you can tell that the car’s door is actually unlocked. Well, we don’t know about you, but that seems like a pretty easy task to pull off. When Mr. Sheffiled first came to know Fran Fine, he had no idea what he was getting himself into, in the best possible way of course. The two have had undeniable chemistry, but it wasn’t until later that they acted on those sparks and became a couple. Until that happened, Fran has dated a few men, including a hockey player who played for the New York Rangers in season 3. The character was named Michael Lavoe and he wore number 7, however the man who was number 7 in reality was retired at the time and his name was Rod Gilbert. With 13 seasons to its credit and endless of dramatic moments, Shonda Rhimes can really be proud of her creation that has kept many fans devoted for so many years and seasons. Before the medical power couple faced the biggest tragedy of their lives when Derek sadly died, they were busy fooling around and keeping each other alive. In the third season finale, Derek performs CPR by giving one breath and then five compressions. However, you don’t need to be a brain surgeon to know that the right way to do it is two and then thirty. Oh well, it’s McDreamy after all. Another historical mistake on the award-winning drama. 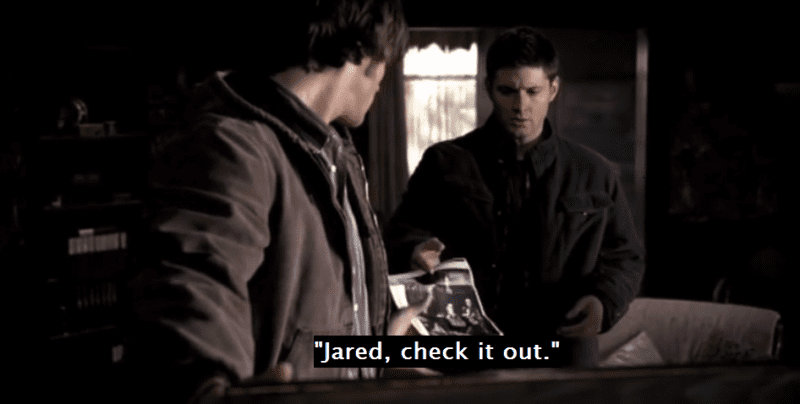 In season six there is an episode named To Have and to Hold and it’s set in the late 60’s. The beloved Joan and a friend of hers are talking about their plans for the day and how they want to make reservations for a place called Le Cirque. Well, the two gals must have waited a very very long time for their table because the restaurant wasn’t open until later in 1974. For years fans have debated whether they preferred to see Carrie end up with sweet and caring Aiden, the safe choice, or rather with the iconic Mr. Big. In the final season of the successful show, Carrie runs into her old love, Aiden who is walking with a baby that seems around six months old. That doesn’t really make sense as the couple has only broke up 12 months before and Carrie’s close friend, ,Miranda was at the point around six months pregnant when the two broke up. Brady, Miranda’s boy was around 5 months when the episode aired, so if you do the math, it doesn’t really add up. Time flies when you have fun? 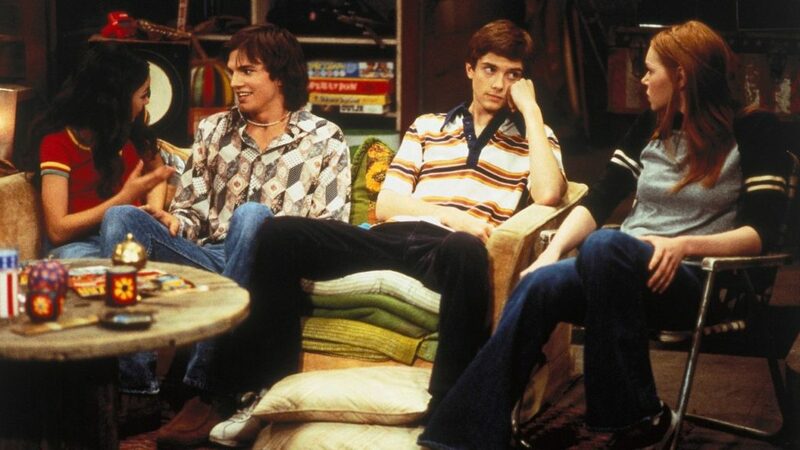 That 70’s Show, whether the writers intended to or not, had endless of continuity errors and dodgy timelines. In the first episode alone we learned that Donna Eric grew in the same neighborhood since they were four only to see a flashback of them meeting for the first time when they were eight. In addition, it took the gang a very long time to graduate – Jackie was featured as a sophomore in season one which was set in 1976, and the others were juniors. However, it was all five years before the group graduated which means it took them seven whole years to complete high school. Just like Sheldon’s spot, the lift played a big role in the show, at least in the background. Whether you wanted to or not, you couldn’t ignore the broken lift that has been broken, well, forever. But how did it happen? In season one, in the episode when the group gets a time machine, Leonard talks about how the lift has been broken for two years. 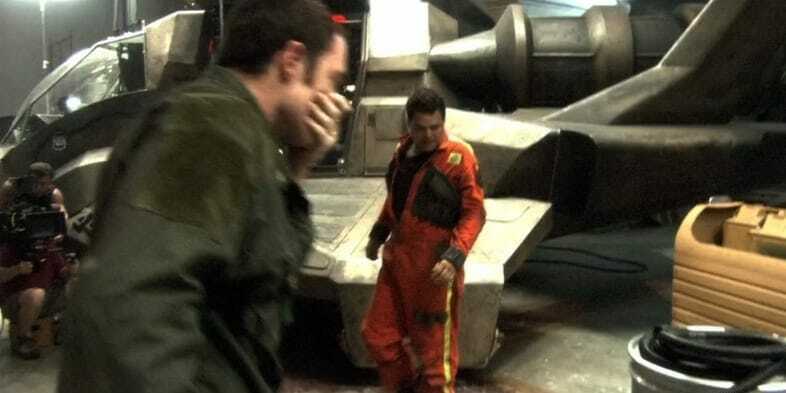 However, two seasons later, it’s mentioned that Leonard failed some sort of an experiment which resulted in a big blow up that broke the elevator seven years ago. Pretty contradicting. It seems like it’s been ages since Full House went off the air, but with the latest reunion, we all got to relive the success of the sweetest family in the country. In season one there was a big continuity mistake. The Tanners decide to move Joey into the family’s garage, really putting a lot of effort in decorating it and everything. 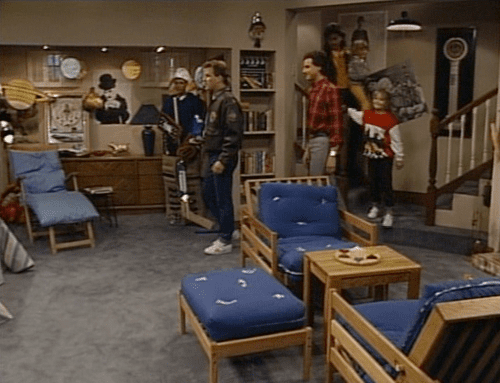 That was episode 10, however two episodes later, the cast seems to be in an out of the garage, which supposed to be Joey’s room, when it’s empty, pretty much looking the same way it was before. As we’ve mentioned earlier, the show is considered one of the best medical television dramas of all time and has even been called ‘uncannily accurate’ by The New Yorker. Well, it hasn’t always been so accurate and the pulp series had its slip ups from time to time. 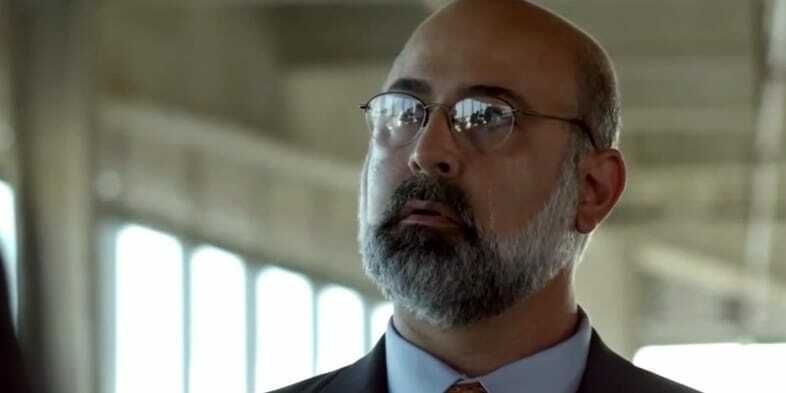 For example, in one epsiode that was set to take place in 2009, there was a reference to Osama Bin Laden’s death, however Bin Laden was killed only later on May 2, 2011. Vince Gilligan, the show’s writer, owned up to that mistake. By season nine of the successful sitcom, we’ve all gotten to know Bud and his character. We all know by now that if a pretty young woman asks him to use his shower he’s going to jump at the opportunity. Well, that was the case in an episode named Naughty but Niece, when Marcy’s niece asks the young teenager is she could take a shower so she could get out of her ‘sticky’ attire. In the next scene she’s seen sitting with a towel wrapped around her head talking to Bud. Then she gets up to leave while wearing the same ‘sticky’ clothes she wore before and when she takes the towel off her head, her hair is dry. Its impossible not to find Phil’s goofiness charming, it’s part of who he is and part of what makes his character so epic. In fact, it almost seems like everything that comes out of his mouth is some sort of a mistake and it’s on purpose. 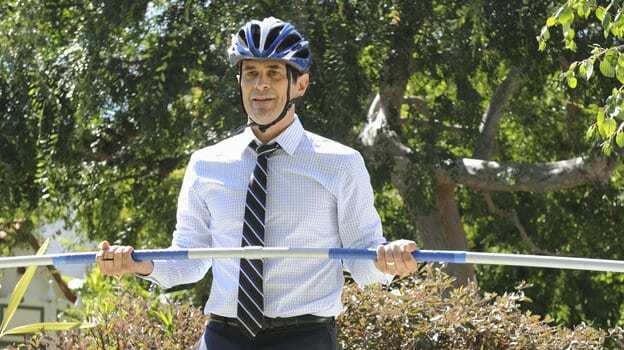 In season 3 of the sitcom, Phil decided to go after his dream and become a tight-rope walker. However, it seems like his dream had already come true because in the previous season, the actor already mentioned that he learned how to tight-rope walk when he attended a trapeze school. The animated series somehow managed to relate to both young people and adults. Maybe it something about the comic gold moments or just the fact that it was relatable, in any case people loved it. However, having an animated series doesn’t mean you can’t have a few slipups here and there. 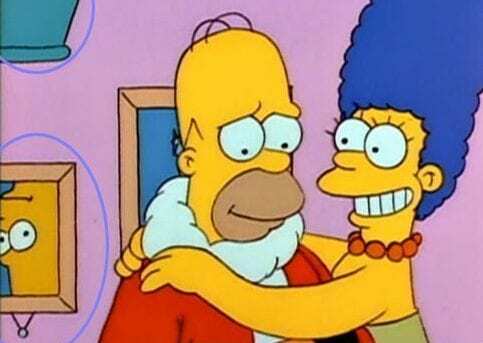 In The Simpsons Christmas Special, there is a scene where Homer and his wife, Marge hug. If you pay attention to the background, you will see that the pictures are upside down. It was fixed by the next shot. Ted is without a doubt telling the longest story that was ever told on television. For nine seasons the audience does not knwo who his kids’ mother is, perhaps that’s why when they finally reached the final episode the writers couldn’t wait to wrap it up. The timeline between Ted’s proposal to the birth of his daughter doesn’t really make sense. There is a major continuity error from the time he supposedly got married to the time Penny was born. Magnum P.I. 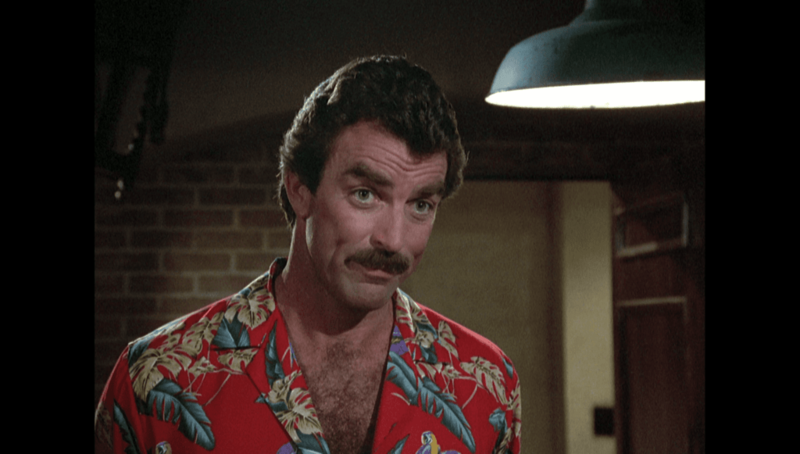 was the crime television series of the 80’s where not only Tom Selleck starred in the show, but his mustache was an inseparable member of the plot lines. However, while Thomas Magnum was a great case solver, there were still things that he even the greatest investigator couldn’t figure out, like how to make th. 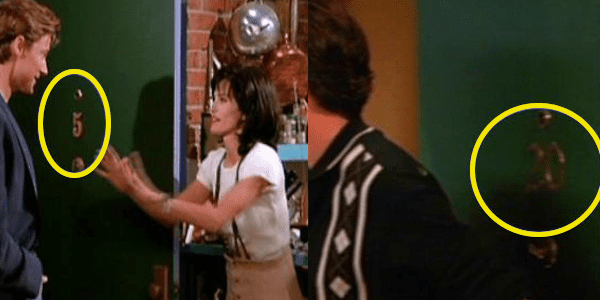 For example, in season 7 of the series in an episode named Autumn Warrior, one of the guests at the house party opens the fridge, but instead of seeing food, you can see the set in the back through the fridge. Speaking of Tom Selleck, after his Magnum P.I. days were over, he did have one big and important role, and that was to play Monica’s object of affection, Richard, way before she started dating her best fiend Chandler. 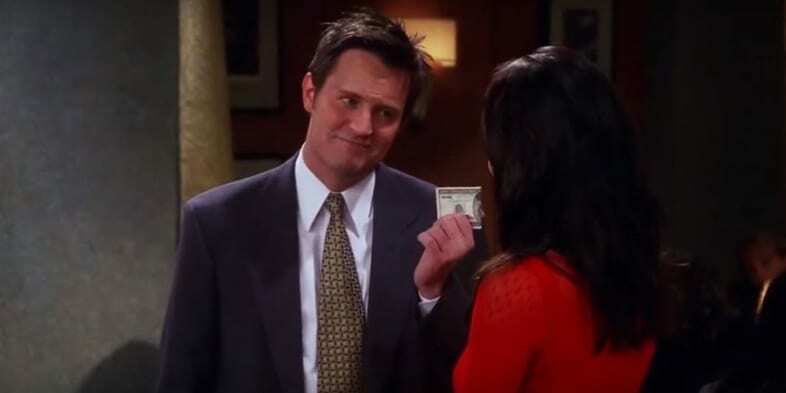 In the episode where Chandler and Monica are waiting for a table at a classy restaurant, Monica suggest that her beau will slip the host a few bucks inside his palm. After he failed doing so, he tells her with great envy that her ex, Richard had no problem doing so. Well, not trying to be nit picky but, Richard was the one who taught Joey and Chandler the trick just five seasons earlier. Well we guess with so many seasons, a few jokes are bout to repeat themselves from time to time. The series that comes from the same production house of Glee, has had its fair share of mishaps. Jessica Lange who played the role of Elsa Mars, had probably the most tragic story of the entire cast as she has lost not one, but both her legs. In season four, her prosthetic legs are covered as she is wearing stockings most of the time. Well, until the final at least. When she collapses to the ground, the editors must have hoped that the fans wouldn’t care about those prosthetic legs any longer as they somehow disappeared from the scene. In any case, that’s a big mistake. The Facts of Life was the perfect dose of funny and touching for every growing teenager in the eighties. It’s almost like the four girls represented a little piece that is found in everyone inside. That’s why, knowing there were so many inconsistencies and goofs throughout the series, makes us love them even more. In an episode called ‘Emily Dickinson’, Mrs. Garrett is reading out loud Blair’s poem. When the camera turns to Blair for the first time you can see there is a mole on the actress’s left cheek. However, for the rest of the episode, the mole is no longer visible. It seems like the make up artists must have forgotten to conceal it.